Now that you know it was my birthday, expect to hear more about the celebrating. After all, birthdays are all about more eating, as if I could eat any more than usual. Lunch at Eleven Madison Park was an excellent way to kick things off. I was only worried that I wouldn’t be hungry by the time it was dinner. Silly me, that was no problem at all. If you’re already starting to look up where this restaurant called Casa Carol is, I’m sorry to break it to you, but it doesn’t exist. Dinner was in the home of my friend and mentor, the James Beard and Julia Child’s Award winning cookbook author, Carol Gelles. 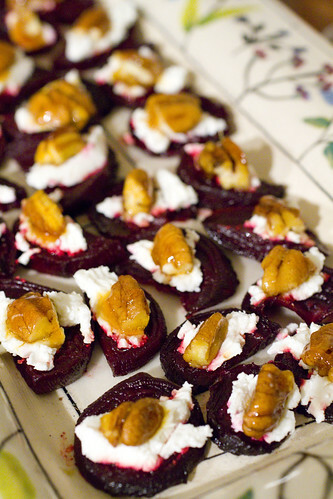 When I arrived, I saw that appetizers were set out: Roasted Beets with Goat Cheese and Candied Pecans, Spinach Dip with Pita Wedges, and White Bean Zucchini Cauliflower Crostini. 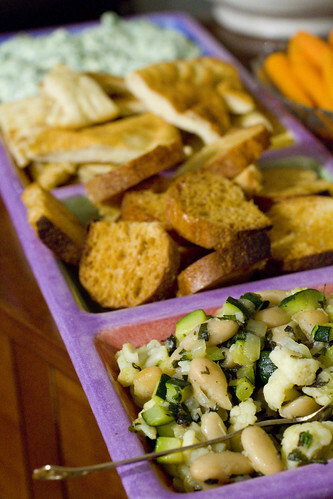 Everything was great, and everyone wanted the recipe for the White Bean and Veggies. Carol gave me a couple of tips so I will try to re-create this. 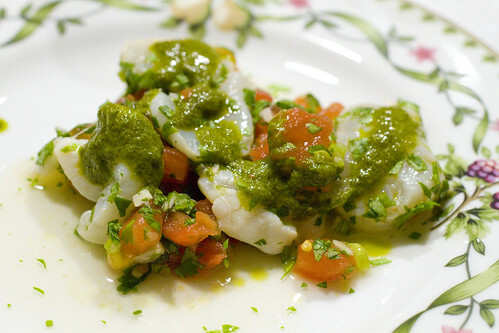 When we moved over to the dinner table, we were brought plates of scallop ceviche. The fresh herbs were picked at a rooftop garden (Carol’s friends’). 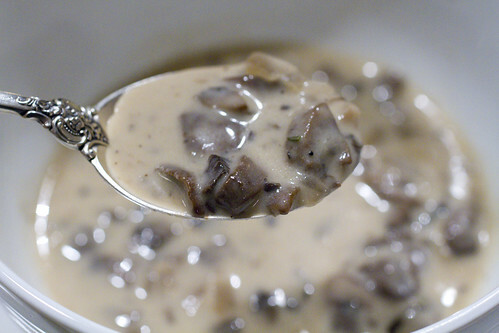 Next, a creamy mushroom soup. The touch of truffle was heavenly! 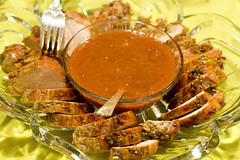 The main course was a Coriander Crusted Pork Tenderloin with Rhubarb Sauce. 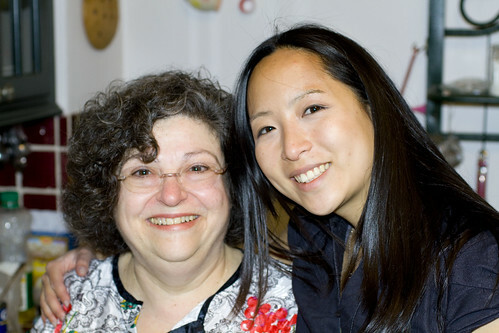 I learned how to make pork tenderloin from Carol, and of course hers is melt-in-your-mouth tender. 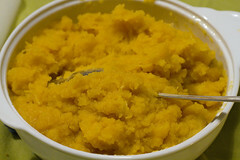 The Pumpkin and Rhutebega mash was the perfect sweet (but not-too-sweet) pairing. 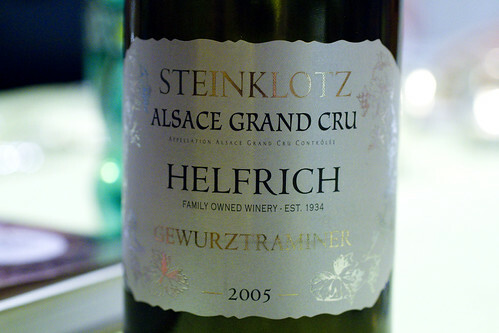 I was now drinking the Helfrich Gewurztraminer 2005, because Lon knows I favor Alsatian wines. In cool Italian fashion, we finished with a salad. 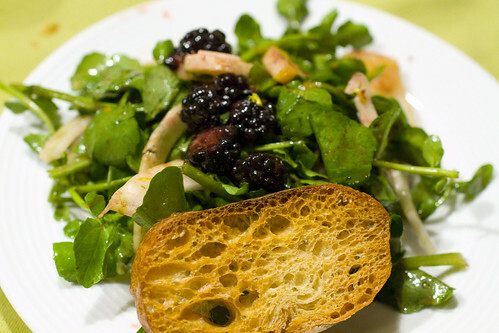 It was a wonderful blend of blackberry, Asian pear, fennel, and watercress. We each had a little plate of blue cheese to add too. We were all stuffed, but as my mother always says, there is a separate stomach for dessert. To that I will add that the dessert stomach grows when it’s your birthday cake. MMM, rich chocolate cake is always welcome. Sometimes, I just know that I’m the luckiest girl in the world, and it’s not just that I have such delicious food in my life. I am blessed to know the most amazing and loving people. Thank you Carol! posted by jessica	at 03:55 PM	Filed under Drinks, Events, Wine. You can follow any responses to this entry through the RSS 2.0 feed. Both comments and pings are currently closed. Hmm..your cake gave away your age, hee. But you do look younger than that number! Your dinner looks just as good as EMP, if not even better. Looking forward to read more good eats! Jodie, Happy Birthday! I know a few too! 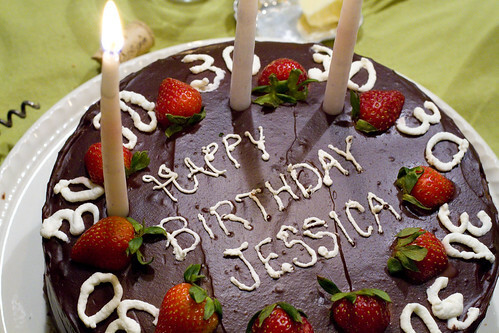 Funny thing, in high school, another girl named Jessica, and one named Jesse, both had the same birthday as me, and they were in my year also. I also have a second cousin with the same birthday (but different year). Happy Birthday, fellow Taurean (19th)! 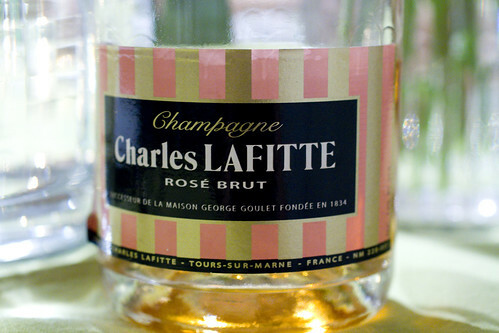 Champagne, truffles, pork and chocolate…what a great birthday celebration. Lunch at one of the best restaurants in the world then, dinner with friends and great food. How perfect could a day be? Ciao! Thanks Jai! …and the celebrating went on.